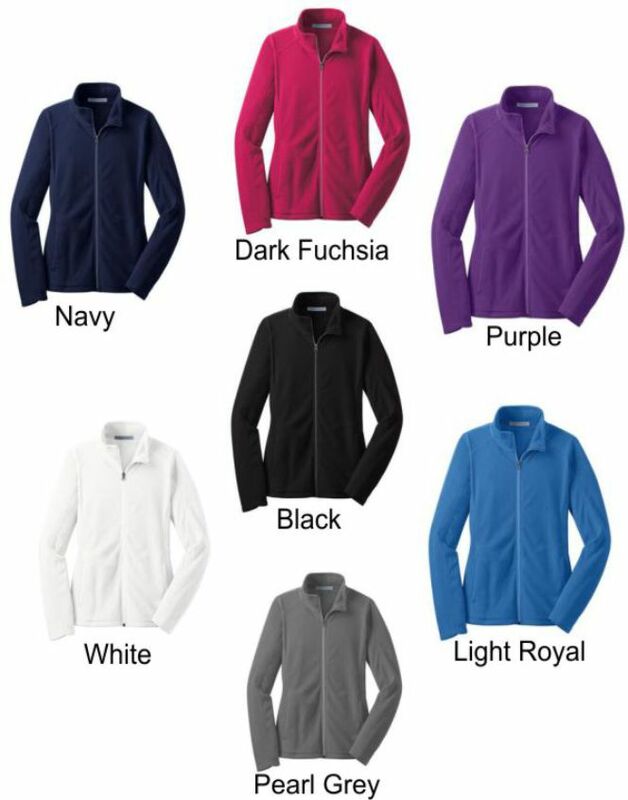 For cool-to-cold weather, this lightweight microfleece fleece jacket delivers warmth without unnecessary bulk. Perfect alone or layered, it's a great value and it features clear coil zippers with dyed-to-match chain stitching and taping. (Grey chain stitching on White.) An anti-pill finish helps preserve a clean appearance. Hello, I received the white fleece jacket with Granjac's name on it and we loved it! It is so soft and pretty. She will love it for Christmas. Thank you very much! Also, it got here very quickly and we appreciate that!